There is more to the visit than just getting to see a fire truck up close. The class has been talking about what to do in case of an emergency and part of that is learning to call 911 and that firefighters would probably be the helpers who would show up. Ms. Caroline explains that children benefit from seeing and meeting firefighters. 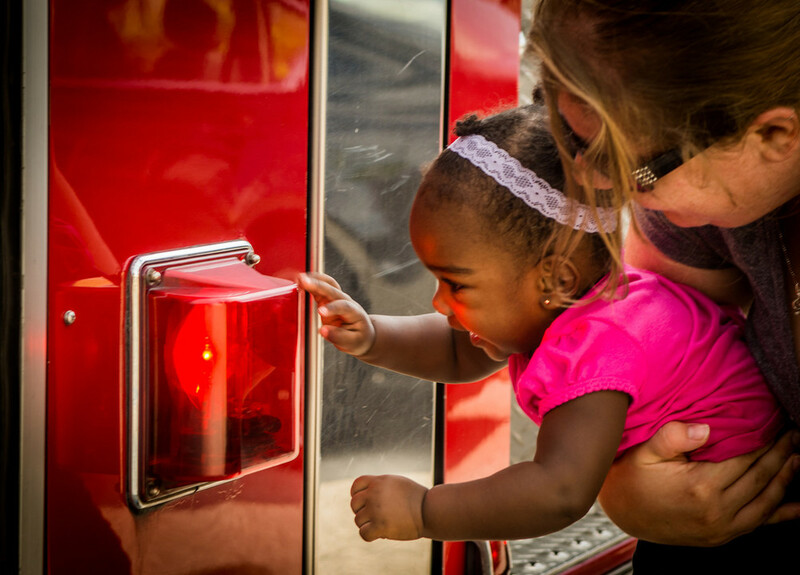 By meeting firefighters, children are able to connect calling a phone number to real people. The children also had the opportunity to get close up and touch the fire truck. Typically children experience a fire truck as a big, loud, scary machine that rushes past them. Without the sirens blasting, children can be comfortable around the truck and help reduce some anxiety that sirens can often cause. We also need to think about the emotional safety of children. Often 4 and 5 year olds develop certain phobias, so we need to help children embrace their fears and support them as they work through those fears. As with all teaching, regular exposure will help children understand fire safety and how firefighters are available to help us.